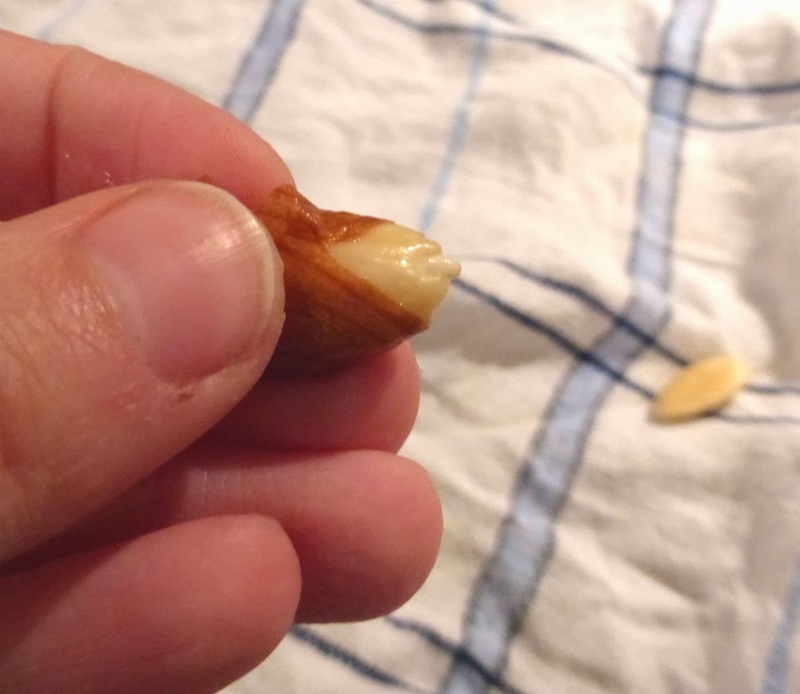 These apricots are my Grandma´s favourite Christmas sweet, so I give her some every Nicolas Day. They are very easy to make and the combination of sweet fruit, melting chocolate and nutty almond is lovely! 2. 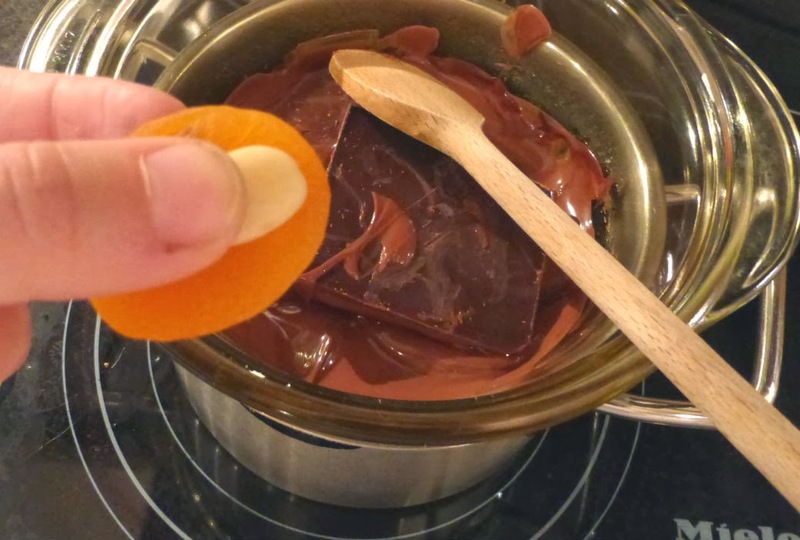 Melt the chocolate by putting it in a heat resistant bowl and placing it on top of a water filled pot. Heat up the water, this way the chocolate will melt without burning. Make sure no water gets into the chocolate! 3. Put one almond on top of an apricot and swipe it through the melted chocolate so half the apricot and almond are covered. 4. 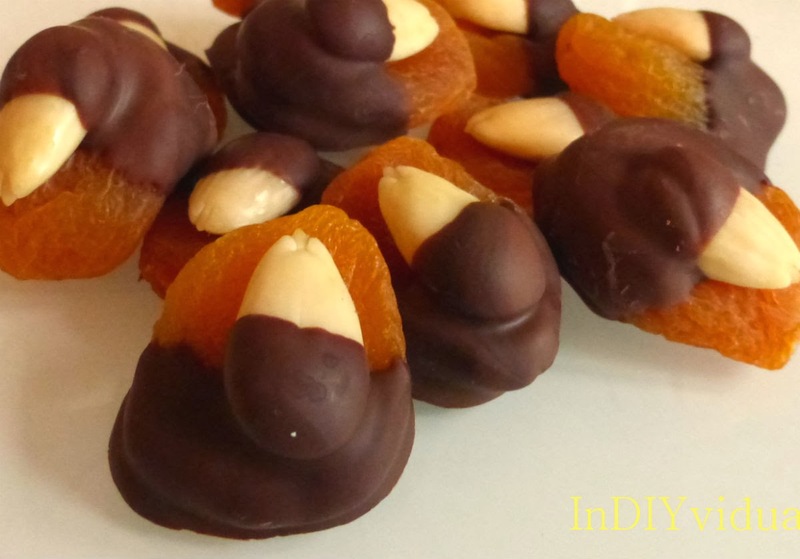 Put the apricot on a baking sheet and let the chocolate cool down. 5. Enjoy - either by eating them yourself or by giving them to a loved one!